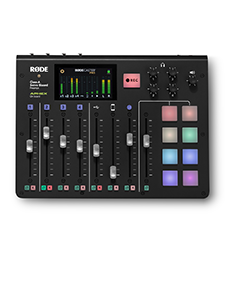 RØDE Microphones - New VideoMic delivers on-camera audio on the GO! The new VideoMic GO is the latest release in the Australian audio company’s successful range of VideoMic microphones for on-camera usage. Compact and light weight by design, the VideoMic GO delivers clear, crisp, directional audio with incredible ease of use. Its tight pickup area focuses directly in front of the microphone and reduces other surrounding sounds, ensuring that the user can isolate their subject from distracting background noise. 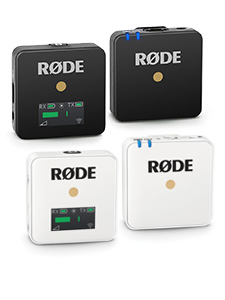 At only 73gm (2.5oz) it is RØDE’s lightest on-camera microphone and sports an impressively compact form factor. Designed to be as user-friendly as possible, the VideoMic GO has no switches or settings, and is powered by the camera or recording device’s external microphone input, requiring no batteries to operate. 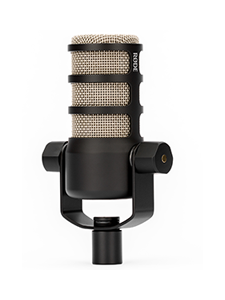 The microphone features an integrated suspension based on Rycote’s Lyre system, which utilises a single piece of thermoplastic to isolate the microphone from knocks and bumps that could otherwise interfere with performance. In addition to its superior performance the Lyre system is hard-wearing and will never wear out, sag or snap, unlike traditional elastic-based suspension. The VideoMic GO is shipping now.